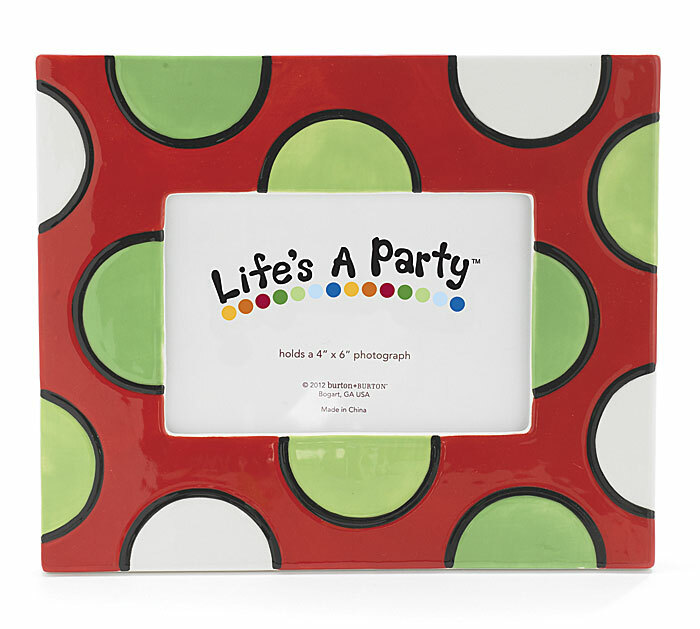 Hand-Painted Ceramic Christmas Photo Frame with Red Background and White/Green Large Polka Dots. Looks Great with any of our Small Christmas Adornments for the Holidays; then use any Small Adornment to Celebrate Special Occasions throughout the Year. Can use Horizontally or Vertically. Dimensions 8 1/4" H x 9 3/4" W. Holds 4" x 6" Photo. Makes a Great Christmas Gift! !